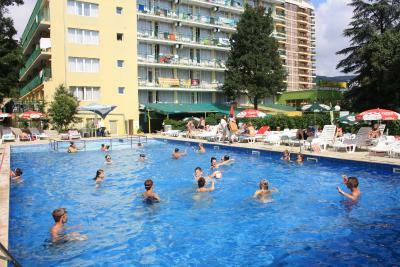 located in the center, close to all attractions..Regarding other pricey places, it is very good for its price. Thanks again to Vesi for her perfect assistance. 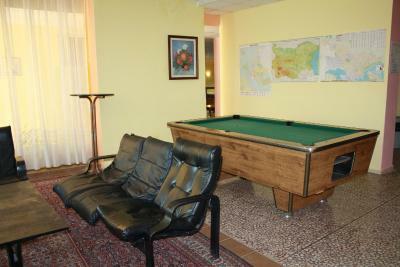 Good location, at the beach in 5min walk. Supermarkets and food stands easy to get to to. It'seems cheap and you can book without a credit card. The hotel is located within 10 min walk from the seashore and the center of Golden Sands. The All-inclusive food was delicious and with unexpected variety. 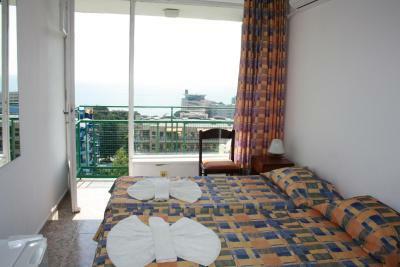 The rooms have amazing sea view.The service was perfect. At the reception were very polite. Excellent service for the money. Due to the cool weather, the non-ac room proved to be excellent value for money. It was right in the centre. Staff was helpful and nice. Everything was as it should have been when stating at a 2 stars' hotel. the room was basic, but clean; the noise was at its best but there wasn't anyone to be blamed since there is almost full season. The food, though poor in choices, was fresh and enough for any hungry guest. On the whole, it was money well spent and for a couple of days' staying it is quite satisfying. Hotel Varshava This rating is a reflection of how the property compares to the industry standard when it comes to price, facilities and services available. It's based on a self-evaluation by the property. Use this rating to help choose your stay! 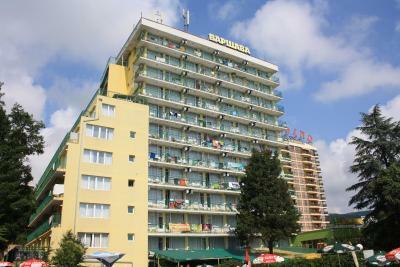 Hotel Varshava is 1,150 feet from the beach in Golden Sands. 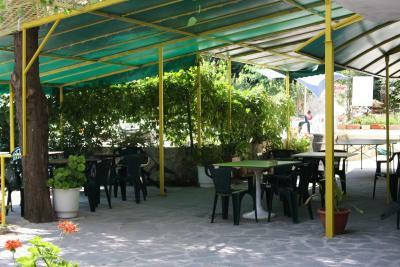 It provides free Wi-Fi in the lobby area, well-maintained gardens, a bar and accommodations with sea and forest views. 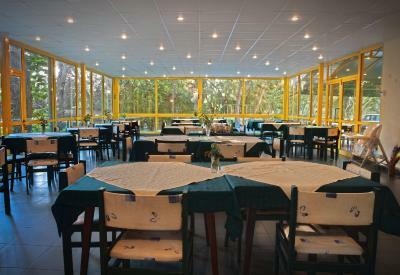 The Varshava features a restaurant and an internet café. 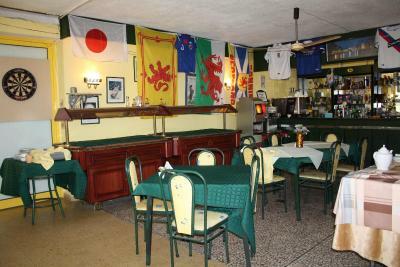 You can also sample a meal at the diverse nearby eating venues. 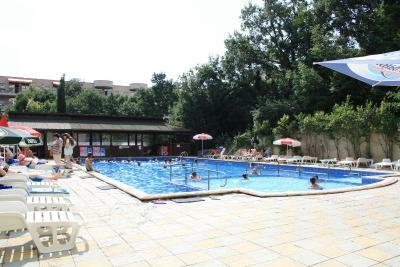 There is a fitness area, a billiards room and a large seasonal swimming pool with a bar and children's section. 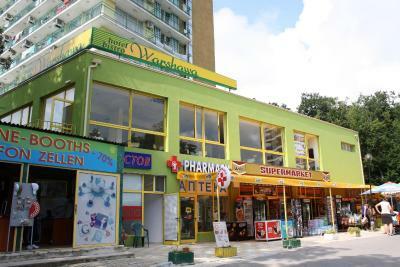 Guests can also find a pharmacy,a 24-hour supermarket and an on-call doctor is available for emergencies 24 hours a day. 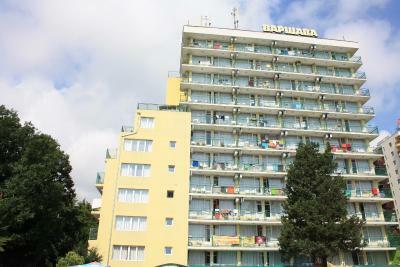 The hotel is 9.9 mi north of Varna and 13 mi from the airport. 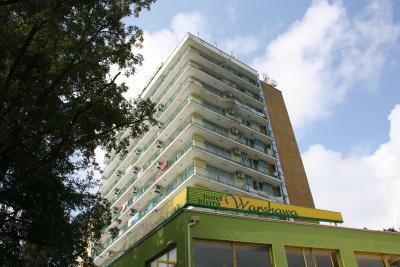 When would you like to stay at Hotel Varshava? 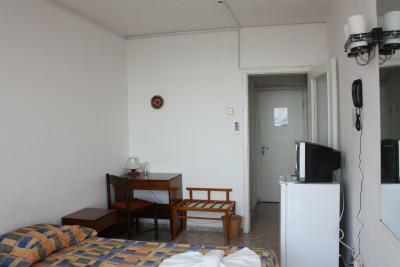 The rooms offer high standards of cleanliness and comfort. 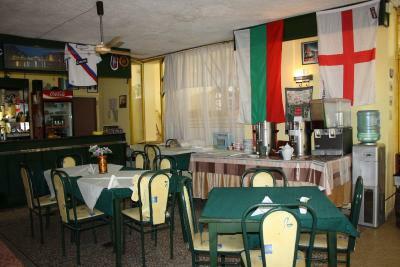 It is possible to rent fridges, fans and TVs from the reception. 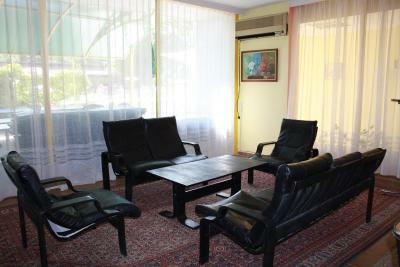 Public parking is available at a location nearby (reservation is not possible) and costs BGN 9.78 per day. 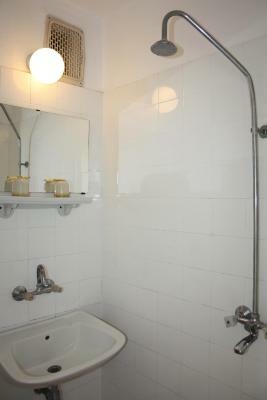 The rooms offer high standards of cleanliness. 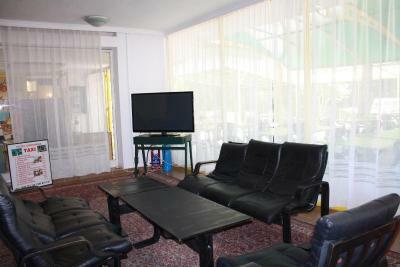 It is possible to rent fridges, fans and TVs from the reception. House Rules Hotel Varshava takes special requests – add in the next step! Hotel Varshava accepts these cards and reserves the right to temporarily hold an amount prior to arrival. Extra beds are possible upon request. Charges may be applicable. 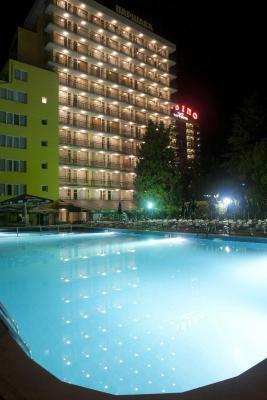 Please note that the All-Inclusive Offer is Light and includes light alcoholic beverages only - beer and wine. 1. parking: they sell parking with 5euro/day in front of hotel but it is not guaranteed that you will find a place to park if you use the car during the day, they continue to sell parking spots even if the parking is full , so it's on your luck. Adding the parking cost you could find other hotels with free parking nearby and with better conditions. 2. windows: they are old and doesn't offer a proper isolation, so you could get a cold in sleep because of the wind passing through the room. 3. free wifi only in lobby but very poor reception. No fitness center. 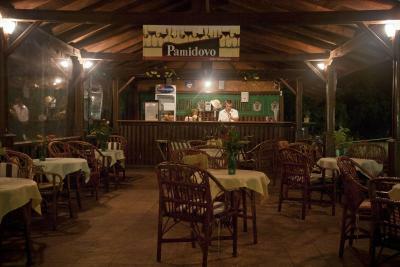 Not have all inclusive, is only kind of light all inclusive, beverages like bad water, bad wine ( plastic bottles), light beer (3% Bolyarka) and that's all. 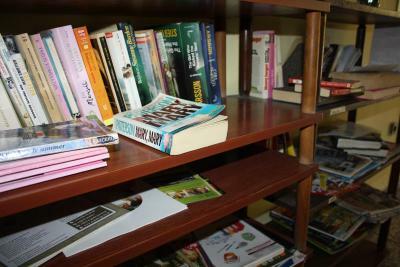 Book room without food and beverages, can eat better in restaurants around. Never choose meals here. Hotel is old but workers are great. Only the sea view and the locatiot. The staff was very kind. The personal was very rude, the room was dirty and they didn’t clean the room any single time during our stay. There was 5cm of water on the floor of our bathroom and we had to cover it with our towels — and we couldn’t even get new towels even though we asked. 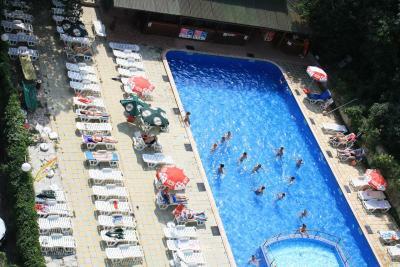 The swimming pool was nice. There is no room service.